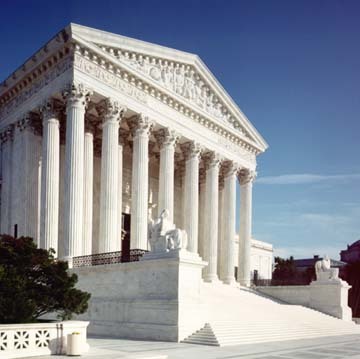 Earlier this year, the U.S. Supreme Court agreed to hear Hall v. Florida, a death penalty case concerning the definition of “mental retardation” (or intellectual disability (ID) as it is now called) that states may use in deciding whether an individual with that disability is protected by the Court’s decision in Atkins v. Virginia. In 2002, the Supreme Court ruled in the Atkins v. Virginia case that executing inmates with ID is unconstitutional. Numerous expert evaluations have documented Hall’s disability. One psychologist’s examination found organic brain dysfunction and severe cognitive impairment, possibly due to repeated head trauma; neuropsychological testing showing severe brain impairment. Another psychiatrist found that Hall is chronically psychotic; that he suffered violent child abuse; has organic brain damage and is paranoid. The lower court records include findings of severe and violent abuse of Hall during his childhood. The Hall case is the first case the Supreme Court has taken on the issue of the death penalty for defendants with ID since the Atkins decision, which indicates that there could be a further clarification of states’ responsibilities under that decision. Specifically, the Hall case centers on whether the state may establish a hardline ceiling on IQ, refusing to consider whether anyone with an IQ above that level may actually have ID (despite the fact that such a ceiling violates the nature of the tests involved and the professional judgment of the diagnostician, among other things). In Hall, the Court has been asked to address Florida’s decision to draw the line at an IQ of 70. The Arc strongly believes that every individual with ID should be protected from the death penalty and applauds the Court’s decision to hear this case. In the past, The Arc has participated in a number of cases on this issue before the Supreme Court including Atkins v. Virginia. Participating in an amicus (friend-of-the-court) brief in the Atkins decision, The Arc’s brief was cited by the Justices in support of its ruling that the Constitution protects all defendants with ID. Since 2002, The Arc’s advocates have been actively involved in the implementation of the Atkins decision in the Federal and State courts across the country. The Hall v. Florida case is not the only case pertaining to this issue in the news right now. Earlier this year, Warren Hill’s appeal to the U.S. Supreme Court to halt his execution because he has ID was denied. Hill’s lawyers filed a petition directly to the Supreme Court, stating that they had evidence proving Hill has ID. However, in Georgia (where Hill was convicted), ID must be proven by the defendant “beyond a reasonable doubt,” the strictest standard in the country. Many people in the disability community share The Arc’s belief that states should not be allowed to create a stricter or more limited definition of ID than the professionally accepted clinical definition of ID. To do otherwise allows the states to execute some people with ID while protecting others. This approach violates the intent of the Atkins decision. The Arc will be closely following Hall v. Florida as it moves through the U.S. Supreme Court in 2014. This entry was posted in Criminal Justice and tagged Death Penalty, Supreme Court. Bookmark the permalink. Person’s with ID/DD are very vulnerable to the legal system. ID/DD services, and follow up are not up to par, if this sort of thing is happening to our ID/DD population. I think that in cases of low intellect offenders, perhaps more therapeutic interventions are needed, like a more secluded and monitored environment…..Obviously, before, any one in the community is ever injured. Community living should be offered to all persons with disabilities, but if they are at risk of hurting someone in the community, they obviously, need a more restricted, therapeutic living situation. Jail is not the answer for the ID/DD population…..But neither is community living, if they are dangerous, or show dangerous behavioral traits. Many efforts are currently being made to close the state op facilities for those with ID. Many of these folks residing there are there because they failed in community settings due to challenging behaviors including aggression, elopement, sexually aggressive behaviors among others. You can’t have it both ways! It is being said by many community advocates that anyone can live in the community with proper supports. That is a laudable goal. The problem? The supports are not there in many cases, underfunded in others and not enough staff and vigilance to insure the safety of the individual with ID and the community as well. Some of these folkks are functioning at an IQ level of 36, at a 3-4 year old level or less. What a shame that the proper supervision is absent and leading to incarceration. Barbara Allen brings up another KEY POINT! The states are closing the facilities, the DD Centers and making a move that is a financial budget move for them, putting ID/DD residents into the community. Biggest problem, they never created laws to protect them. They never, ever created a state minimum certificate program of training of staff who work with this population. Currently, if you have a valid Driver’s license and a work history of highschool education, you qualify. No standards in who is being hired, or no regulations, or state minimum requirements on their training. There is no professional back up or support, other then dialing 911 for help. Community supports have been failing, because the lack of funding and training, the current laws…so many issues. The state needs to create a minimum standard training certificate (like a Nurses Aide) program, that trains persons who need jobs how to manage autism, ID/DD & challenging behavior in a community setting the current system is set up for failure. Case managers of the system are over worked and over loaded, vital services are not available, or do not take Medicaid. Jobs are not available. I think the Developmental centers can be redesigned, the union’s cut back, privatized, and kept in place, with strict over site, for residents who pose threatening behavior. I think these behaviors need to be monitored much closer, and residents in an at risk category be provided the environment they need to keep them and the community safe, even if it is more restricted. Obviously, I understand least restrictive is the goal, but not all ID cients can function with out the structure of a more restricted program.